Starting at the 22nd floor of one of Frankfurt's skyscrapers, the apartments offer skyline views as well as free WiFi (up to 500 MB). 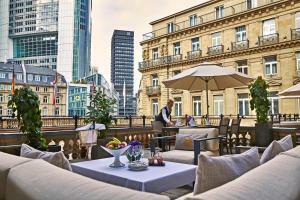 It is a 3-minute walk from the Alte Oper opera house. The large apartments of the INNSIDE by Meliá Frankfurt Eurotheum have floor-to-ceiling windows and open-plan bathrooms. They are located from floors 23 to 29, and feature a kitchenette with fridge/minibar. The Sportlife Eurolex spa centre at the INNSIDE by Meliá Frankfurt Eurotheum has a fitness room with views, as well as a sauna and a relaxation room. The Taunusanlage S-Bahn Train Station is just a 2-minute walk from the property. From here, Frankfurt International Airport and Frankfurt Trade Fair can be reached directly. When would you like to stay at INNSIDE by Meliá Frankfurt Eurotheum ? Warmly decorated, very spacious apartment offering elegant furniture, a small kitchenette and a large, open bathroom with bathrobes and slippers.Also features a view of the Frankfurt skyline and a queen-size bed. Decorated with baroque-style furnishings, this bright and spacious loft, features a small kitchenette and an open bathroom with bathrobes and slippers.This room also offers a view of the Frankfurt skyline.This loft comes in two different designs, the romantic design and the avant garde design. Please note that just two lofts of the avant garde design are available. They are going to be assigned upon request and availability. Warmly decorated apartment offers modern-style furniture and a large, open bathroom with bathrobes and slippers.Also features a queen-size bed, a work desk and a kitchenette. Decorated with modern-style furnishings, this air-conditioned suite features a small kitchenette with microwave and minibar as well as a large round bathtub with bathrobes and slippers. 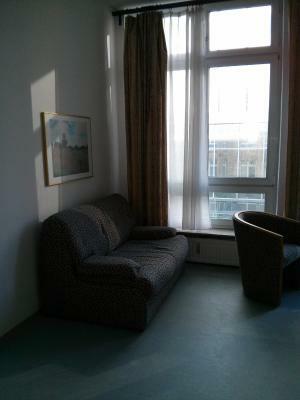 This suite also offers a view of the Frankfurt skyline. WiFi is available in all areas and is free of charge. WiFi is available in all areas and costs EUR 6 per 24 hours. All children are welcome. All children under 3 years stay free of charge for children's cots/cribs. All children under 12 years stay free of charge for extra beds. The maximum number of children's cots/cribs in a room is 1. The maximum number of extra beds in a room is 1. Please note that free WiFi is available for up to 500 MB of usage. After this quota has been used, high-speed WiFi is available for a fee of EUR 1 per hour and guests are not charged more than EUR 6 per day. Any extra beds and children's beds are subject to availability and must be confirmed by the hotel. Each day we'll check prices and send you an email for your selected dates at INNSIDE by Meliá Frankfurt Eurotheum. If you don't have specific dates but would like to check prices for say next weekend or say next month we can check the price too. Click to write a review and share your experience of INNSIDE by Meliá Frankfurt Eurotheum with other travellers.